MaxiLoad makes non-stackable pallets stackable. 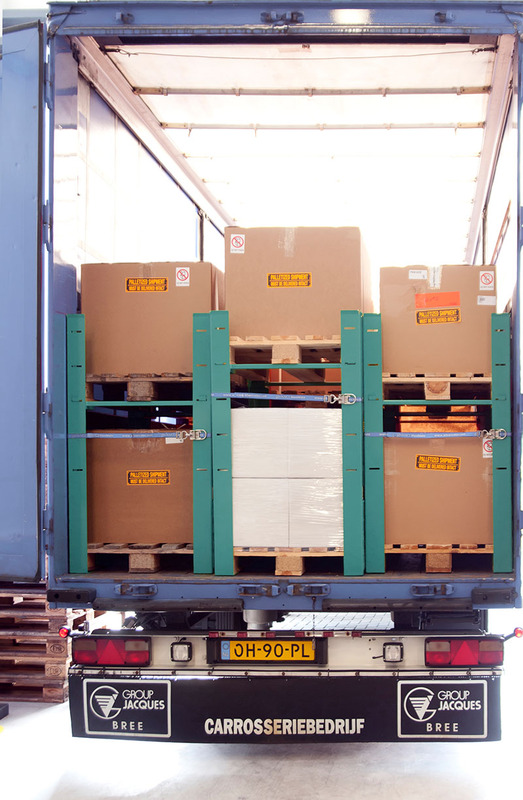 With this simple and user-friendly system, every pallet location in your lorry or warehouse will now take 2 or even 3 pallets, making MaxiLoad cost-saving, sustainable & efficient. Our clients save more than 30% on transport costs on average. MaxiLoad offers you massive savings on space, emissions and costs with a more efficient use of the available transport and storage capacity. Loading and unloading is quicker too. As your lorry will be transporting many more pallets per trip, you reduce your CO2 emissions, which is good for the environment and the sustainability image of your organisation. MaxiLoad also prevents damage to products. 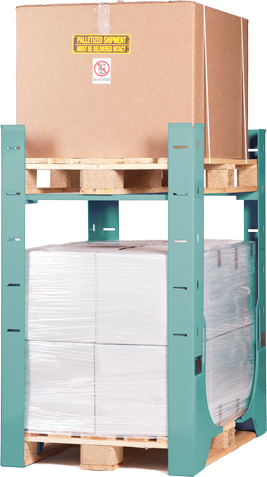 With MaxiLoad you can put two or even three pallets in one pallet location. With our construction, which can be fitted easily by one person, you create room for storing and transporting lots of more pallets. It doesn’t matter whether the pallets are fully or partly loaded. MaxiLoad increases the payload of your lorries. 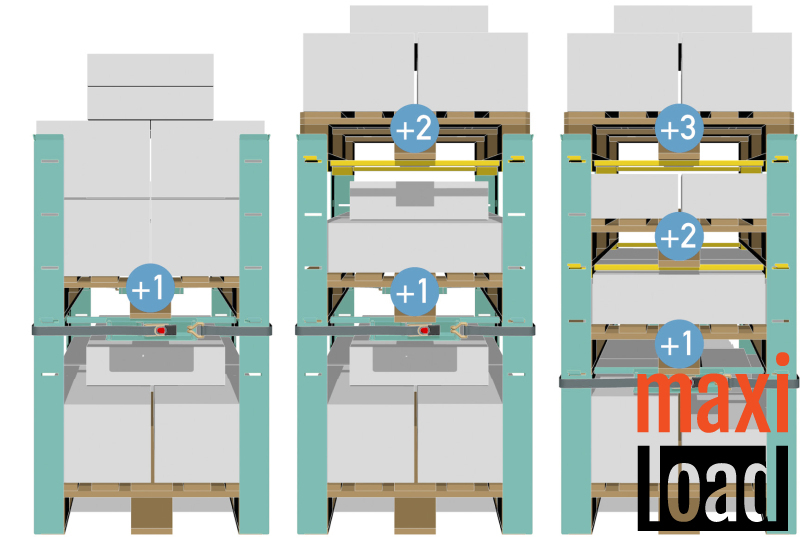 MaxiLoad also enables more compact pallet stacking in your warehouse. Lease your MaxiLoad for just a small sum per day and use MaxiLoad without having to make major investments. Lease contracts are simple and flexible and can be terminated by the day. As a regular client, you will have a customised lease programme that is tailored to your personal needs.